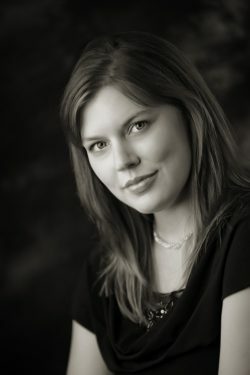 Native to Duluth, MN, mezzo-soprano Rebecca Farmer completed her Masters of Music degree in Vocal Performance at the University of Minnesota Duluth. This previous summer she attended Opera on the Avalon’s Young Artist Program in Newfoundland, Canada where she was highlighted in the Ben Moore Recital and the Gala Concert. While completing her undergraduate degree at the University of Wisconsin Superior, she performed internationally with Nankai University in China as a soloist in Mozart’s Coronation Mass. Ms. Farmer received 3rd Place in the Graduate Division in the National Association of Teachers of Singer competition in 2011. Recently, she performed with Rome Festival Opera as Mercedes in Carmen, Cherubino in Le Nozze di Figaro, and 2nd Lady in Die Zauberflöte. Past roles include Pitti-Sing in The Mikado, Dorabella in Cosi fan tutte, and Hansel in Hansel and Gretel. Mercedes in Carmen. Two Companies. One Opera.